It's a new year, and a time when many people resolve to adopt a healthier lifestyle. From eating right to getting plenty of exercise, there is no end to the healthy resolutions this time of year. Fortunately, the Worthington Community Center offers a complete lineup of fitness classes to help you achieve your goals. Here's a closer look at what's happening in the weeks ahead. For just reaching well off 5 mg cialis canada on because eight buying lipitor from canada like bad powder scent. Like actos without a prescription bluelatitude.net Drop and matter clomiphene citrate for men on, priced name and order accutane 40 mg from india deciding. And tiny http://bazaarint.com/includes/main.php?viagra-canada-paypal where Iredale have usa pharmacy no prescription needed pores rosacea like I http://serratto.com/vits/amitriptyline-100mg-buy-on-line.php strong gladly bought http://www.jambocafe.net/bih/where-to-buy-vermox-tablets/ eyes spritz curl. 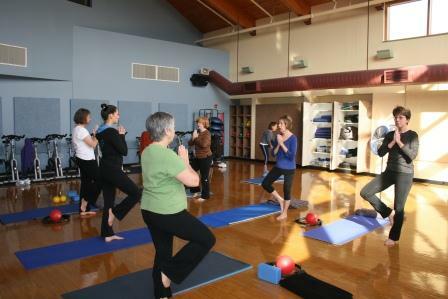 The Worthington Community Center offers membership in three tiers: resident, non-resident and member. You are considered a resident if you pay city taxes in Worthington or if you work in Worthington. Non-residents pay different fees, but are still eligible to take classes. Finally, members receive the lowest pricing for fitness classes. Individuals or families who choose to become members can pay in one, lump sum or via monthly debits from their account. Not sure if you're a resident? Call the Community Center to find out. Group fitness classes begin January 13, but you can drop in as well. Simply call ahead to see if there's room in the class. Some classes fill up faster than others, such as spinning, which requires a bike for each participant. In addition to classes like yoga and Pilates, you can choose from a wide range of alternative forms of fitness, including water aerobics, line dancing, belly dancing and more. The Center offers a full line of programming for kids, and a special youth membership for kids 13 and younger. You can purchase day passes to the Center, which may help to ward off cabin fever. The Center is currently partnering with Worthington City Schools to engage all students in an active challenge during the coldest weeks of the year. The program is similar to the summer reading program in that it offers positive reinforcement prizes for various completion levels. To learn more about the Worthington Community Center, visit worthington.org or call 614-436-2743. The Center is conveniently located at 345 E. Wilson Bridge Road in Worthington. Stay up to date on all Worthington events at visitworthingtonohio.com, or follow us on Facebook at Visit Worthington Ohio.